What do solar panels look like? 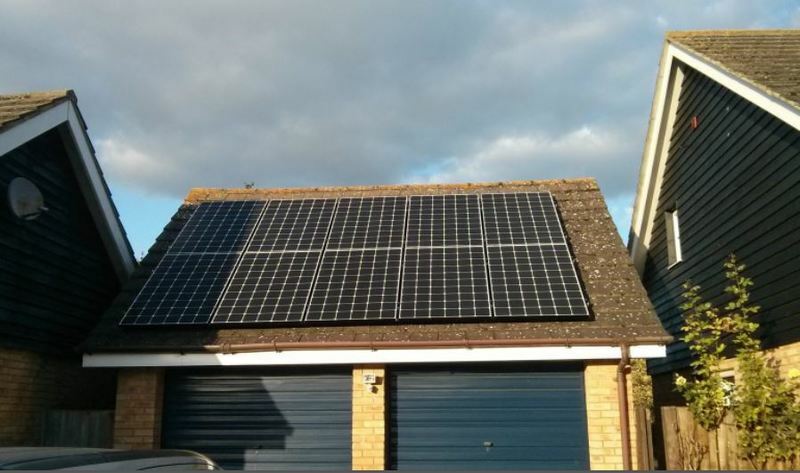 ...or rather… What can solar panels look like? 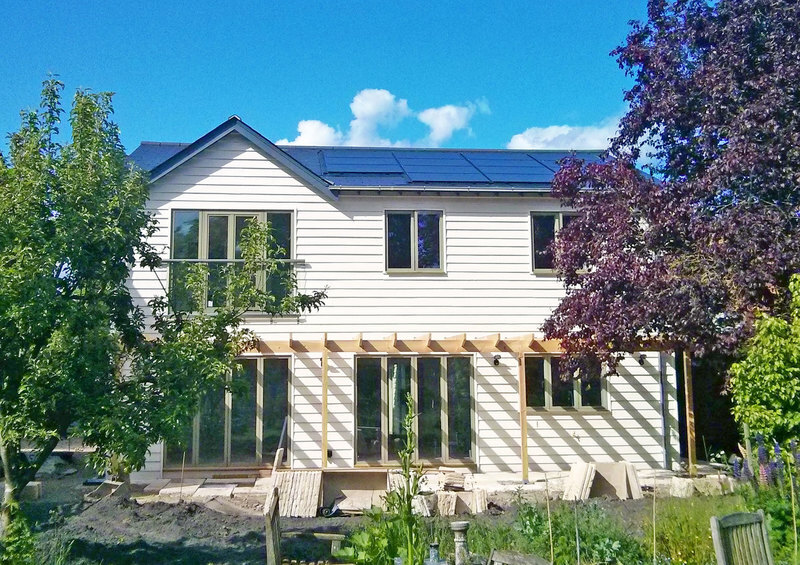 The secrets of installing discreet, sleek and stylish solar panel systems. 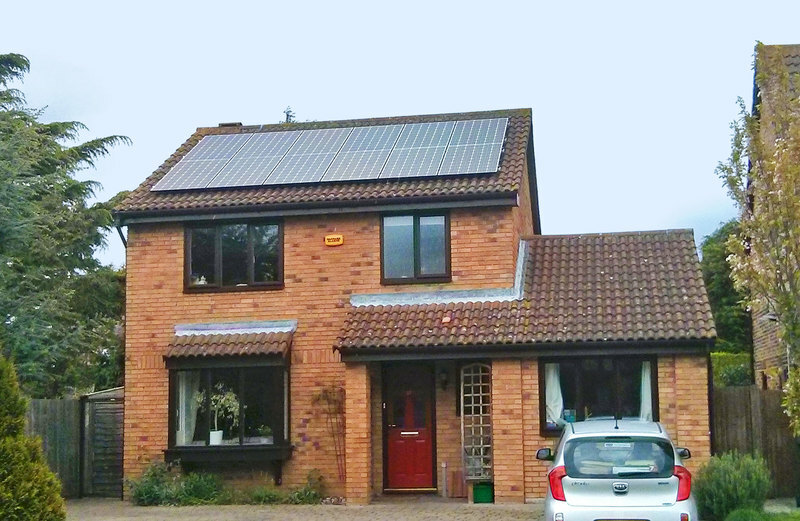 The subject of solar panel aesthetics is a one which often divides opinion. In the years we have been in business I have met people who love the sight of them, hate the sight of them, and people who are completely indifferent to them! 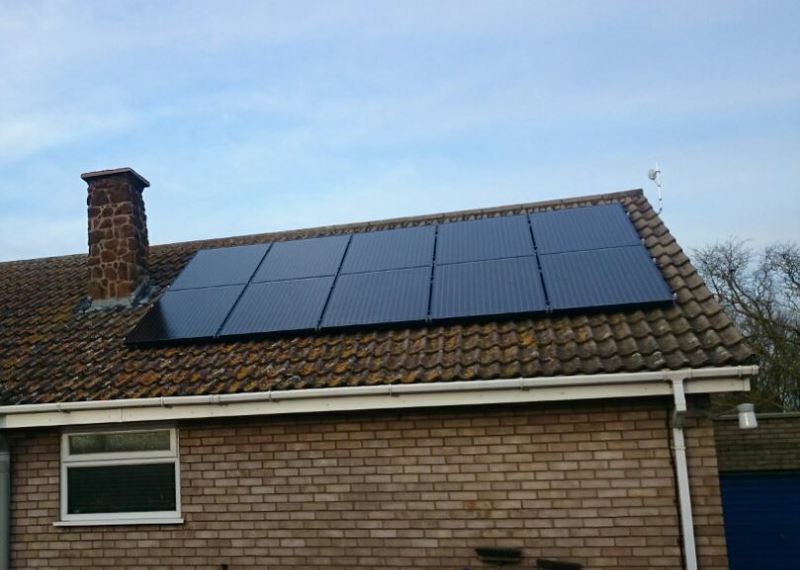 As you might imagine, in general, we are pretty pro-solar, however we always design our systems to be as discreet as possible and to fit in, as best possible, with the surroundings that they installed in. 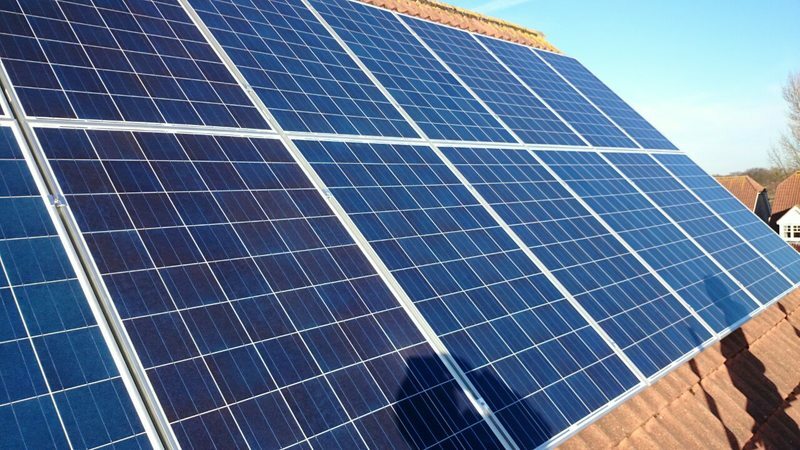 However you feel about the sight of solar panels on roofs, barns or field for that matter, there is a number of things that can be done to modify the visual impact of the panels, for better, or for worse. 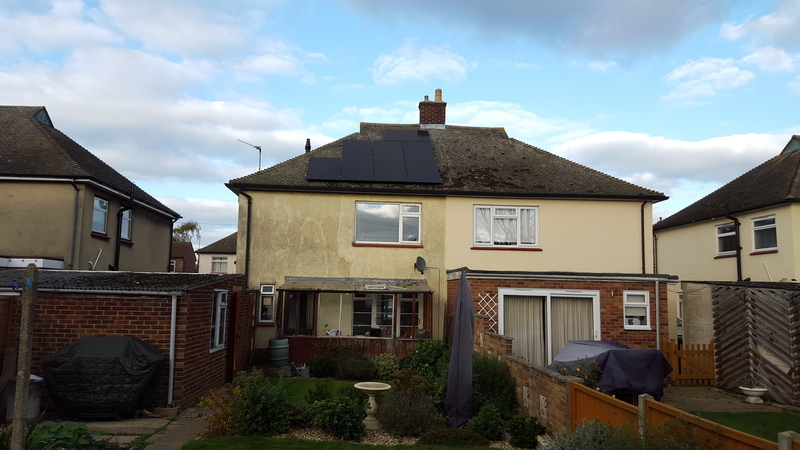 The aesthetics of solar panels is an important issue - solar panels can quite conspicuous and are often mounted in very noticeable locations where owners or neighbours can clearly see the panels on show. 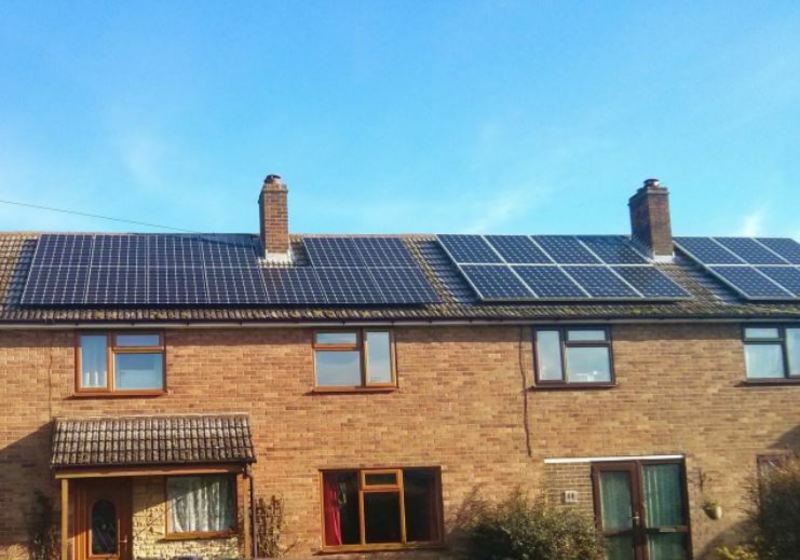 Making sure the solar panel installation is as smart and subtle as possible can be crucial. 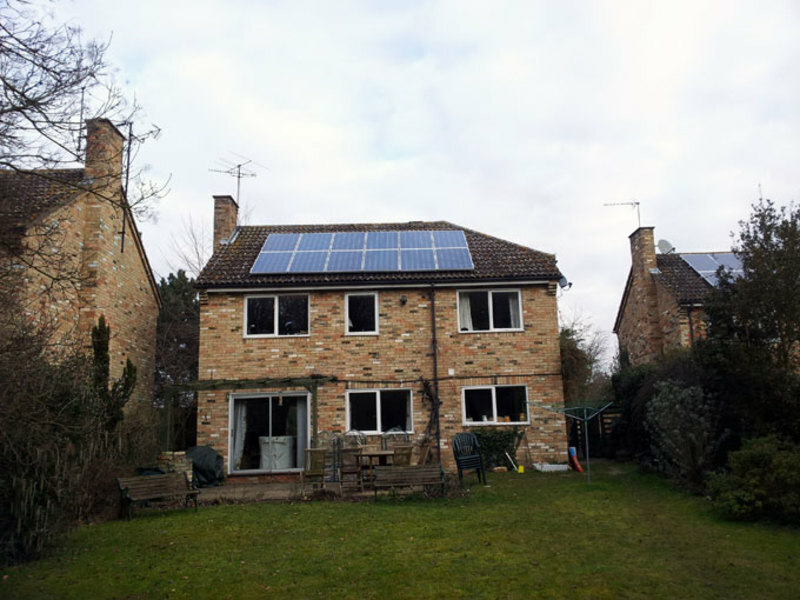 This article is specifically looking at grid-connected domestic and commercial solar panel installations in the UK; however the information here should be relevant for people with smaller off-grid solar panel systems and also systems in different parts of the world. People who are thinking about solar panels for listed buildings, in conservations areas, for new builds or who have some other sort of planning issue should find the information presented below of particular interest. Over the past decade or so the UK market has standardised on, roughly speaking, a 1m x 1.6m sized panel. Each panel manufacturer’s panel will vary by a few millimetres and there are some notable exceptions to this rule but on the whole, most panels you will see installed on homes and business in the UK will be similar to this. 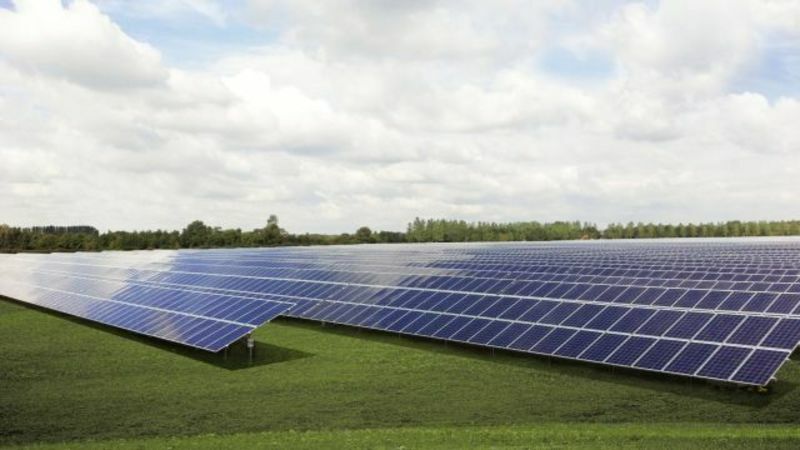 The standard panels are surrounded by an aluminium frame that is normally around 30-50mm thick – this frame provides strength to the panels and also allows easier transportation, handling and fixing of the solar panels. 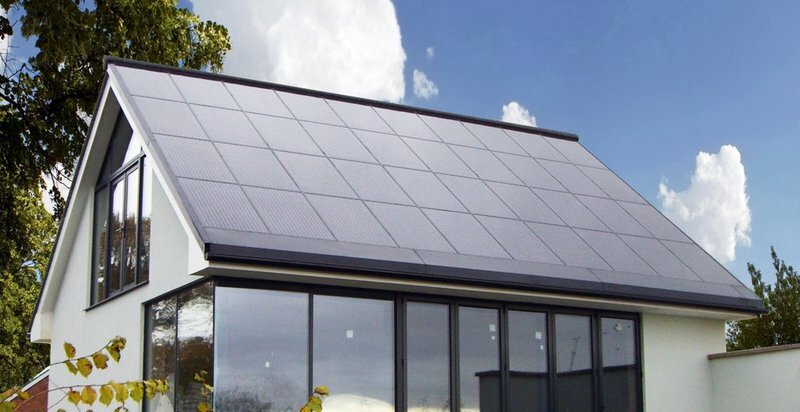 There is also a third, less common, type of solar panel called thin-film, these panels use a slightly different type of technology and so you don’t have ‘cells’ in the same way as you do with poly- and monocrystalline solar panels. 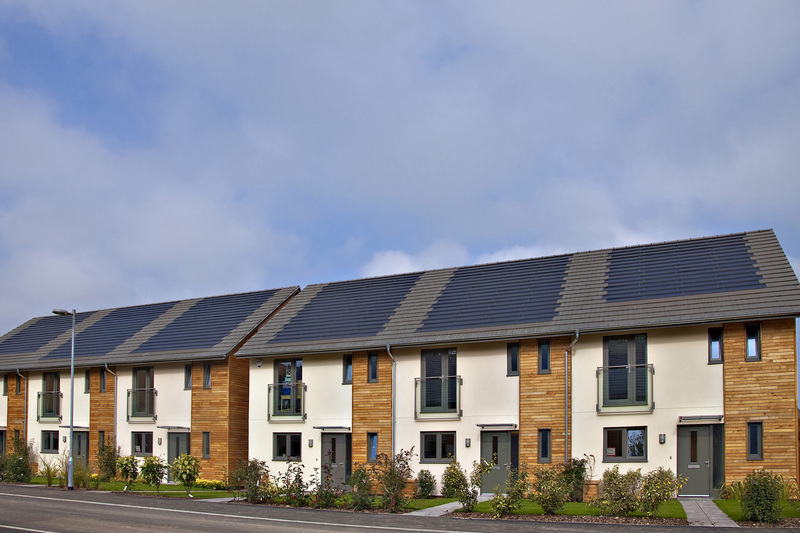 Thin-film solar panels are used in the UK, but are not as common poly- and mono- panels. They tend to have be a uniform black colour and so are good in situations where aesthetics are important, however they are less efficient than poly- or mono- panels and so need significantly more room on a roof for a the same system output. Because of the way polycrystalline silicon is manufactured the cells can be cut into exact squares. These cells are normally of a blue or dark blue colour. You can often see the different silicone crystals appear as a kind of frost pattern on the cell surface. Monocrystaline solar cells are cut from a monocrystalline ingot, a kind of huge silicon sausage! These very thin round cells are then trimmed into squares with little round corners. The cells themselves are normally a uniform black. 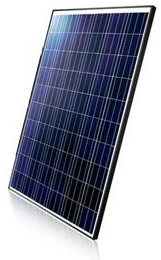 Monocrystalline cells are often used when manufactures make ‘all-black’ panels. 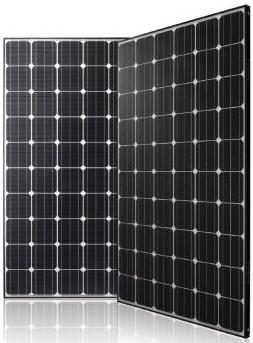 The majority of solar panels installed all over the world come with an aluminum frame, often descibed as a ‘silver’ frame. 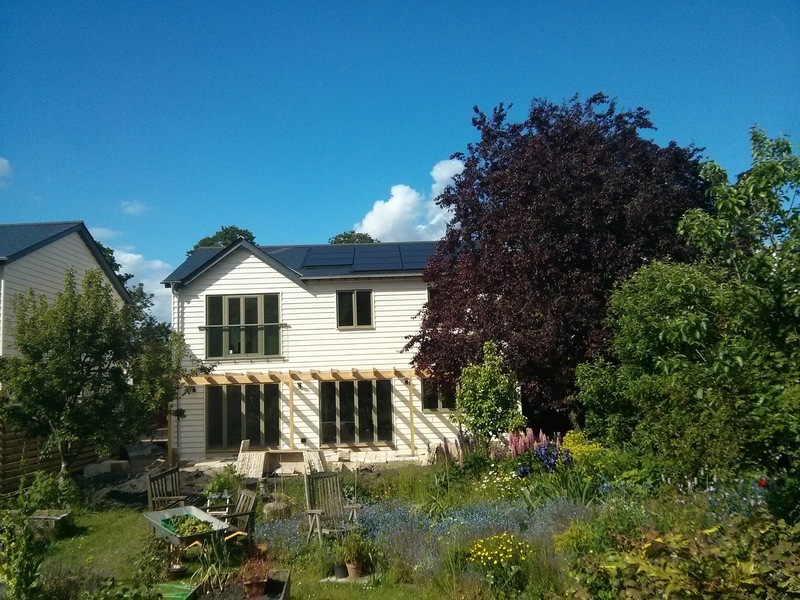 The UK and some other makets have over recent years developed an interest in having black framed solar panels – and these have become very popular, especially within the resedential market in the UK. 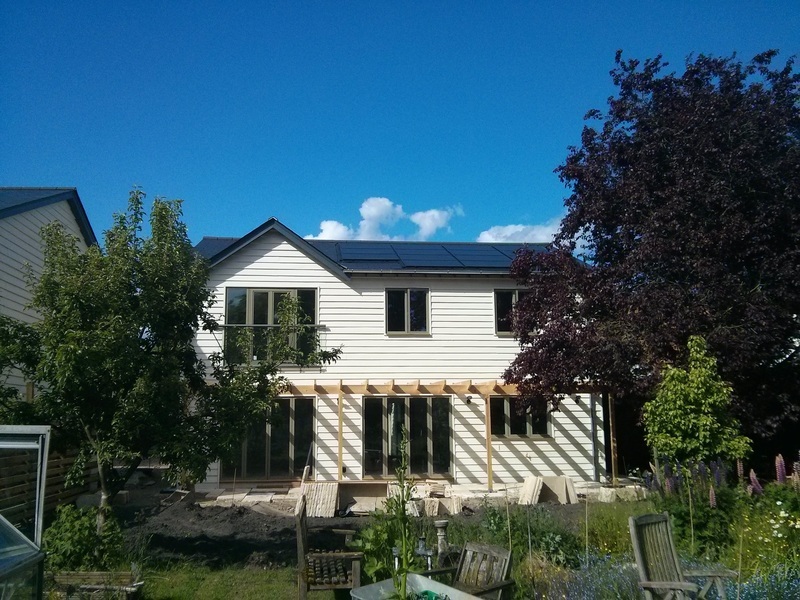 It is rare nowerdays that we would install a domestic solar panel system without a black frame. 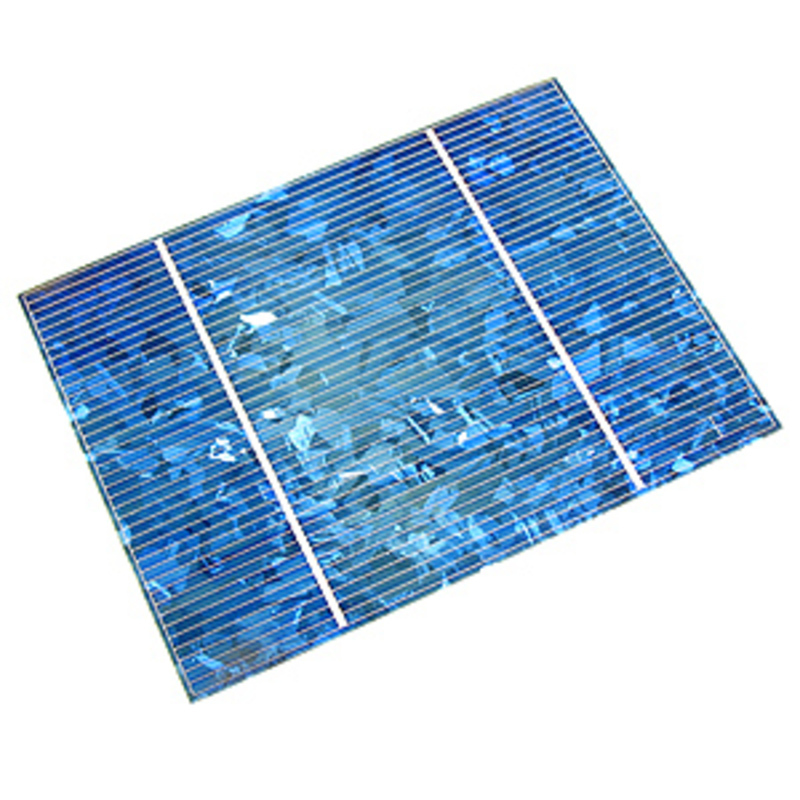 The solar cells are mounted onto a backing sheet encased within the solar module. 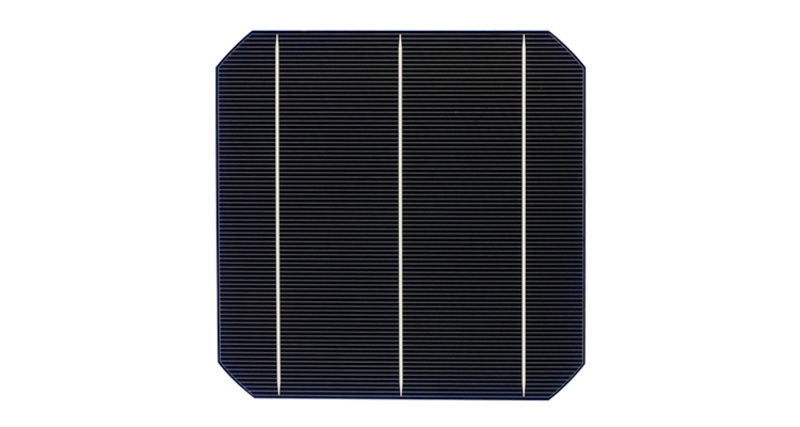 Historically, and probably still in most cases, this backing sheet is white, however in the UK resedential solar panel market it has become very popular to have panels with a black backing sheet. 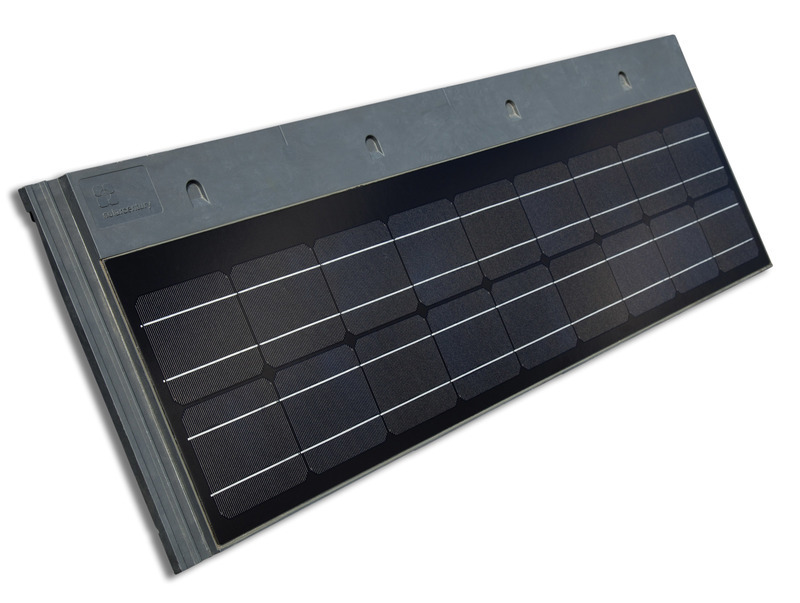 When this is combined with black cells and a black frame this produces an all-black panel which tends to look a lot sleeker on a roof in comparison to a solar panel with bluer cells, a white backing sheet and an aluminium frame. 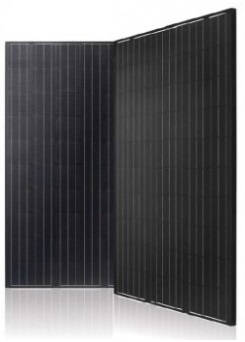 One of the problems with an all-black panel is that the photovoltaic cells will get hotter than in white-backed panels. This does impare the yeild of the system very slightly as the panels efficiency reduces when they get hot. However in our expeience with a well designed solar panel systems installed in the UK the difference between black- and white-backed solar panels is pretty negligible over a year. Examples of different Solar Panel apperances Silver frame solar panels with blue cells and a white backing sheet, on-roof mounting system. 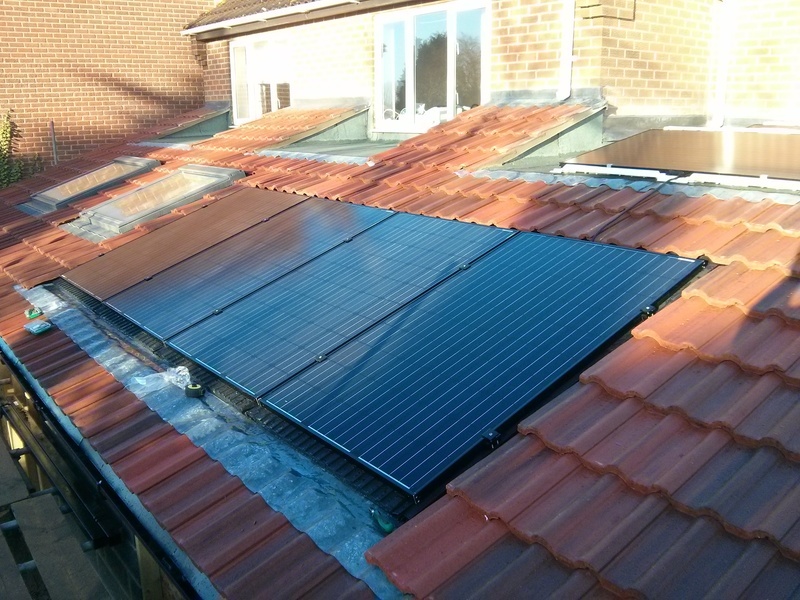 Black frame panels with black mono cells and a whte backing sheet, on-roof mounting system. The ‘all-black’ panel - Black frame, black cells and a black backing sheet. Also using an on-roof mounting frame. 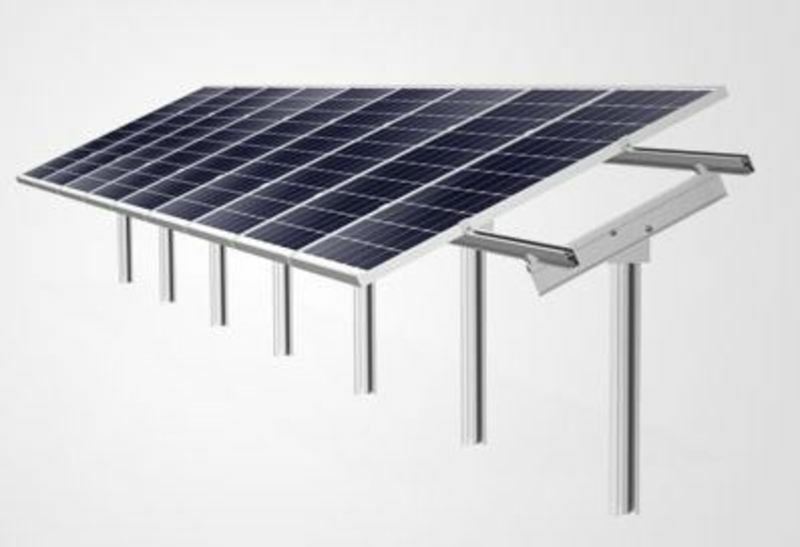 There are a large number of different types of solar panel mounting system, each designed for mounting solar panels of different types onto different types of structure in different ways. 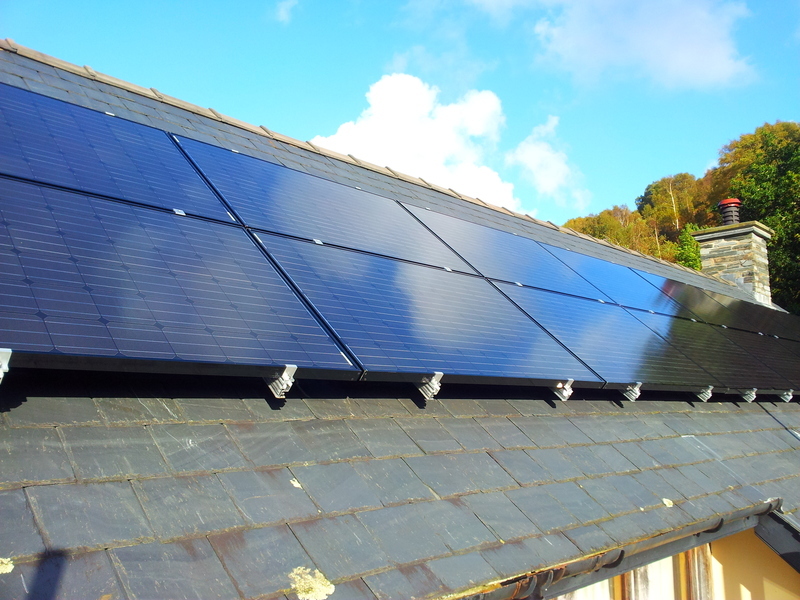 Most mounting systems are designed so that the solar panel is fixed using the aluminium frame surrounding the solar panel. 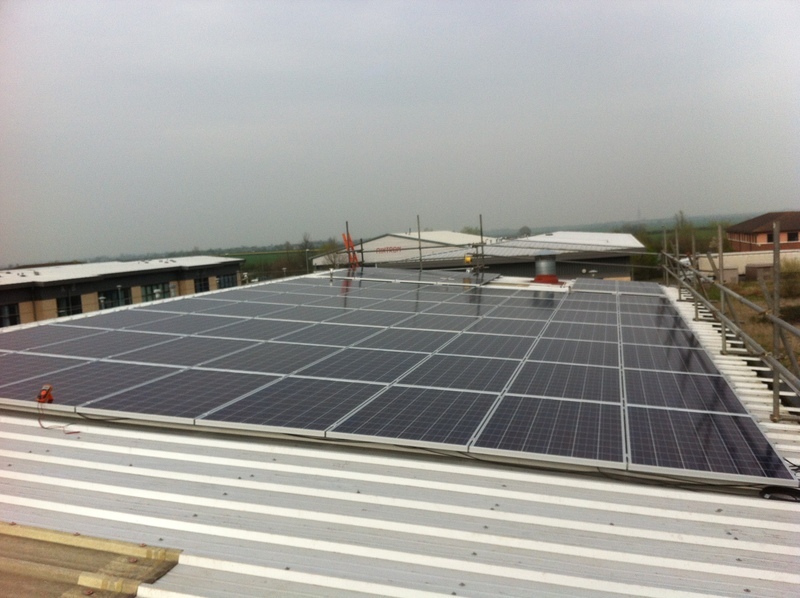 The vast majority of solar panel systems that you see on buildings in the UK are on-roof mounting systems. Occasionally you might see an in-roof system, especially on new-build projects. 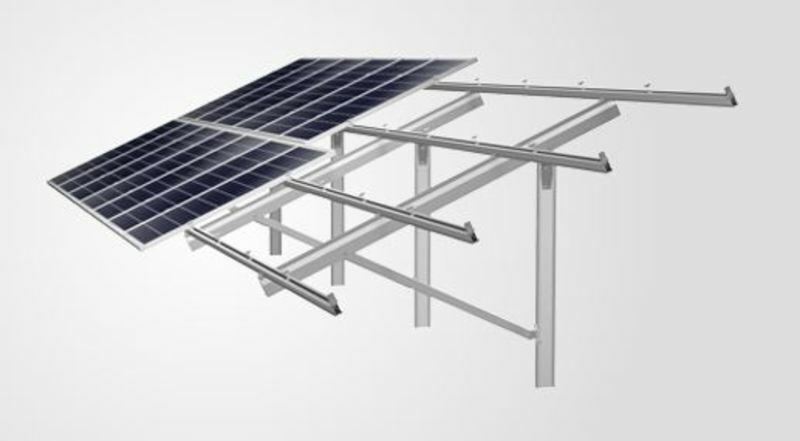 You will see free standing mounting systems on flat roof or when solar panels are ground-mounted, for example in fields. With the industrial, metal profile roof and the standing seam roof you would normally install an on-roof style system but you would use specific types of fixings to fix the rails to the roof. 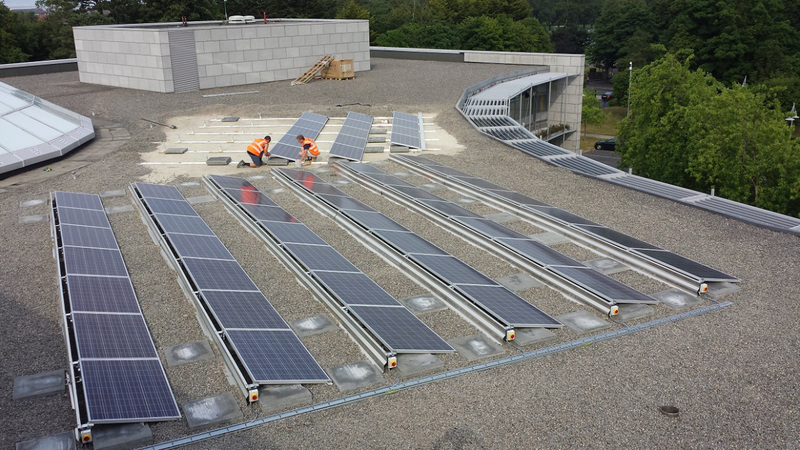 As you can see from the photos above, with the on-roof mounting method the solar panels sit on a frame fixed slightly above the surface of the roof. 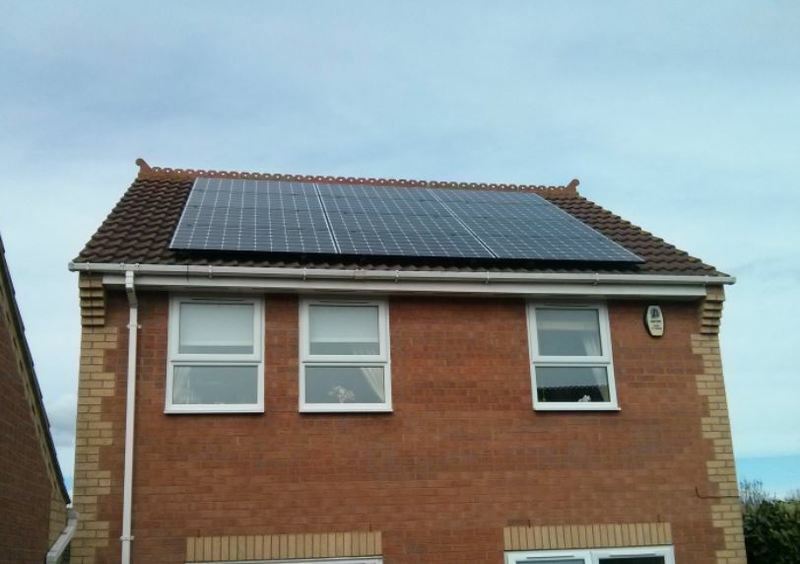 On-roof is the most common method of mounting solar panels onto pitched roofs as it tends to be cheaper and quicker to retrofit solar panels to an existing roof than to replace the roof covering and install an in-roof system. Note: In-roof mounting systems are sometimes referred to as roof-integrated or semi-integrated mounting systems. In-roof mounting systems is where the solar panels and the frame system form the watertight roof covering instead of the tiles or other traditional roof covering. This means that the solar panels sit a lot lower on the roof and so are a bit more discreet in appearance. 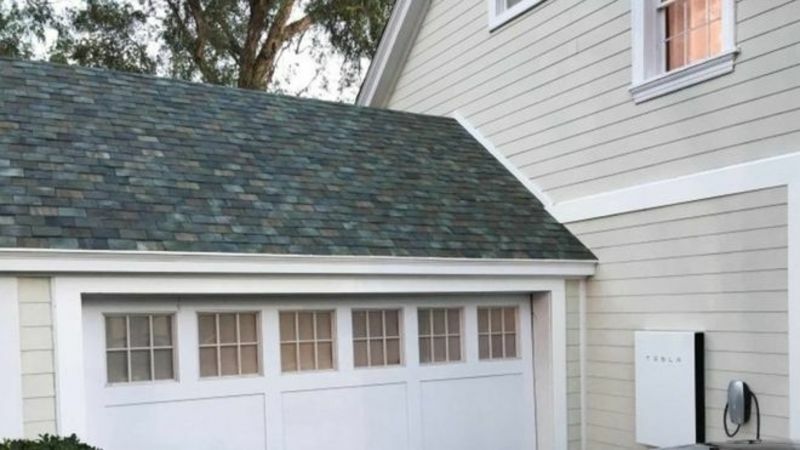 This looks particularly good when combined with an all-black solar panel as the resulting system will be particularly unobtrusive, especially on a slate or grey concrete tile roof. 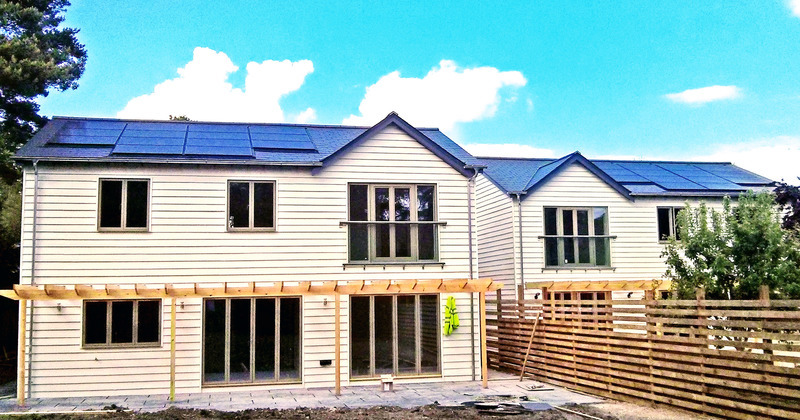 The in-roof frames tend to be more expensive than on-roof frames, however if the solar panels are being installed onto a new-build the in-roof system will remove the need for tiling or slating the roof area in question. This could save £100’s and end up saving money on the overall build cost. Free standing solar panel systems are not fixed to a pitched roof structure like on- or in-roof systems are. 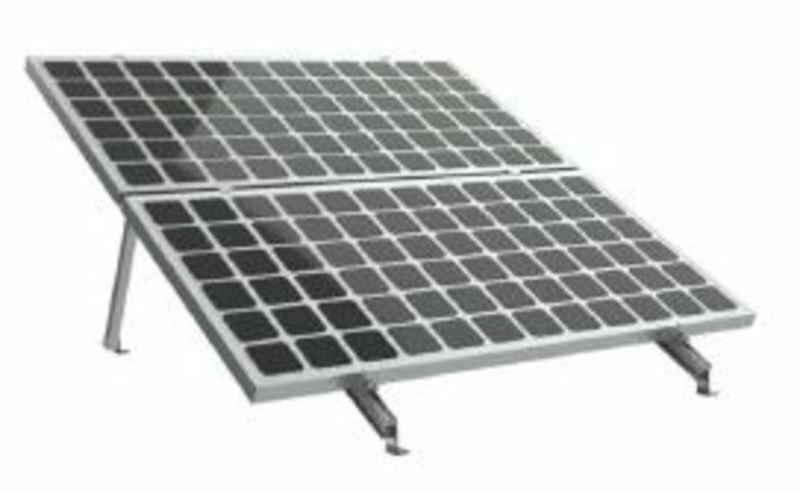 They are used for flat roof areas or ground-mount systems where the angle of the solar panels can be optimised for maximum solar yield. This type of frame is generally split into two areas – systems which are mounted on flat roofs and systems which are mounted on the ground. To a degree these systems can sometimes be very similar if not the same, although there are some differences between the two. 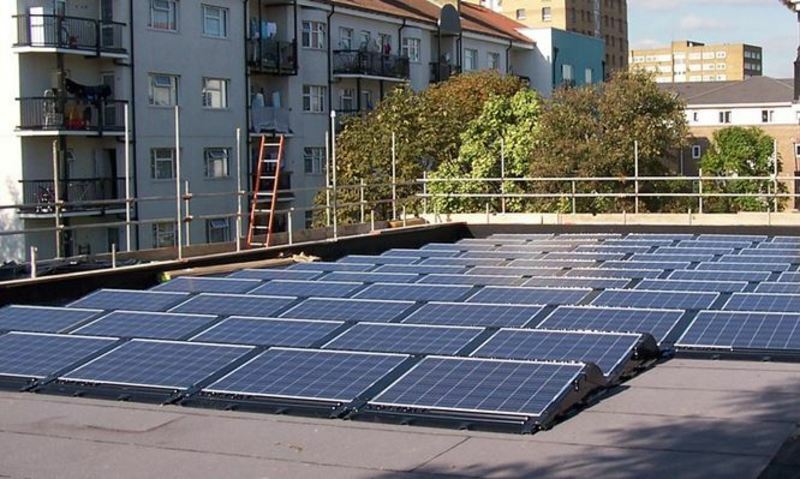 There are a few different types of flat roof system that are commonly used in the UK. There are some specialist manufactures that manufacture plastic frames that the panels sit inside and there are also standard metal frame systems that panels can be fixed to. There are a number of considerations when thinking about installing solar panels on flat roof but we won’t go into them in detail here as our primary interest is in the aesthetic element. The flat roof systems above could all, in principle, be mounted onto a flat area of ground and in some specific situations it could well make sense to use one of these options. 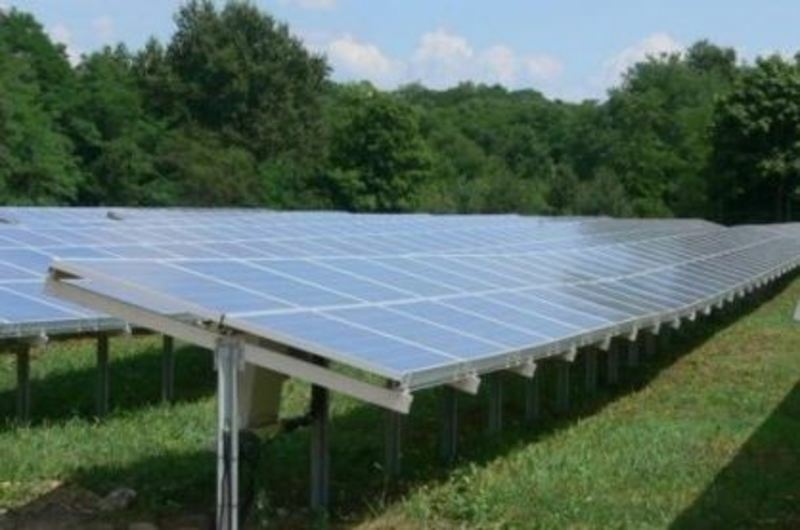 However when installing larger ground mounted systems it is normal to use frames built off pile-driven or ground-screwed posts or to build the frame off concrete foundations below the solar array. 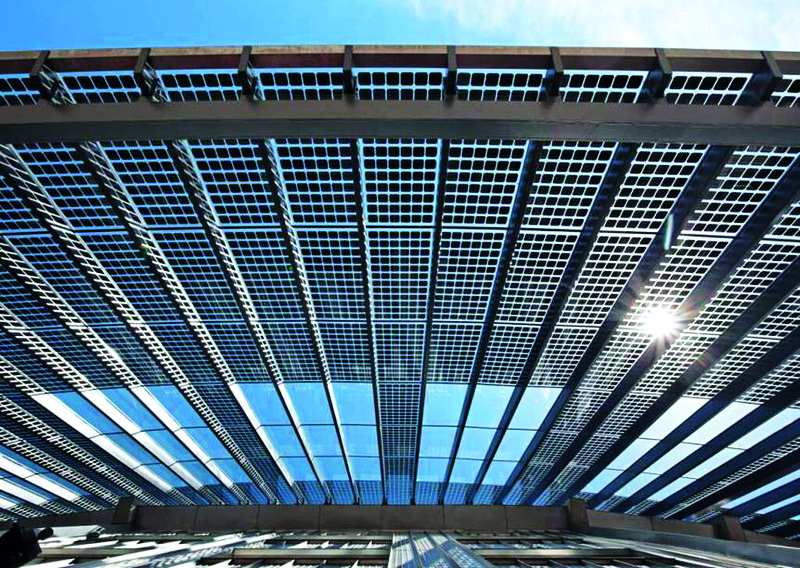 Building Integrated Photovoltaics (BIPV) is a type of solar technology where traditional building materials like glass or external cladding is replaced by photovoltaic materials. 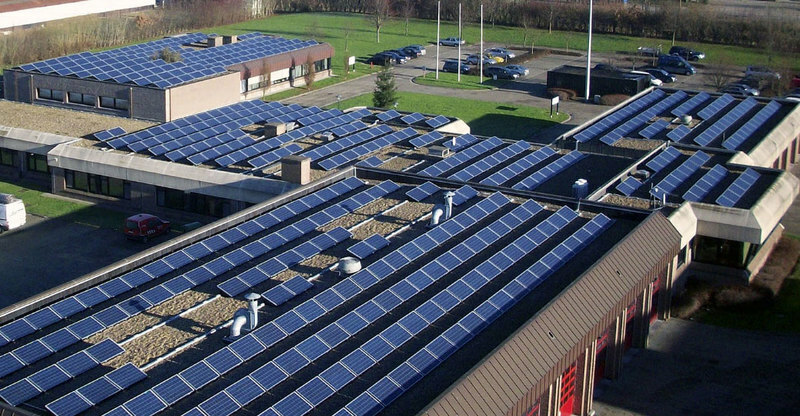 Typical examples include the solar photovoltaic materials replacing building facades, windows, atriums and skylights. 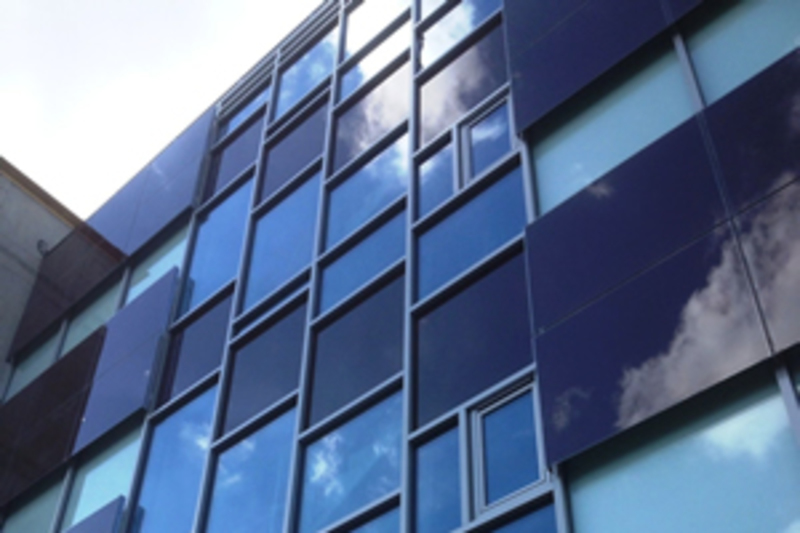 By designing buildings with BIPV the solar element becomes much more subtle or sometimes architects choose to make a feature of it. 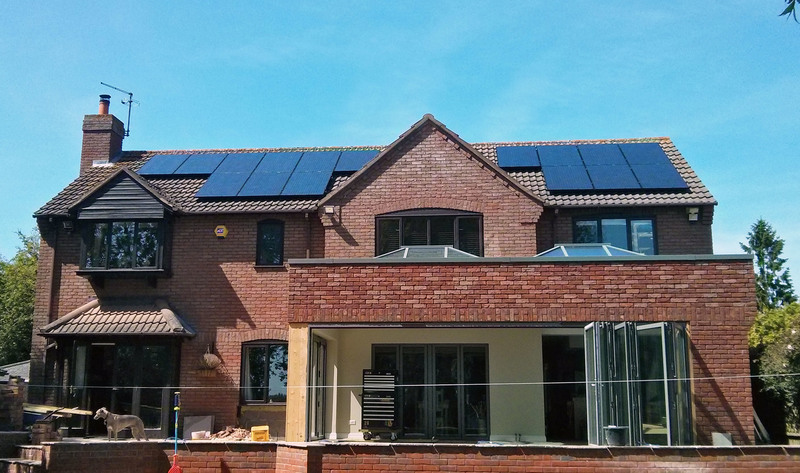 BIPV projects tend to be much more bespoke than standard solar panel installations and so the design phase is much more important. 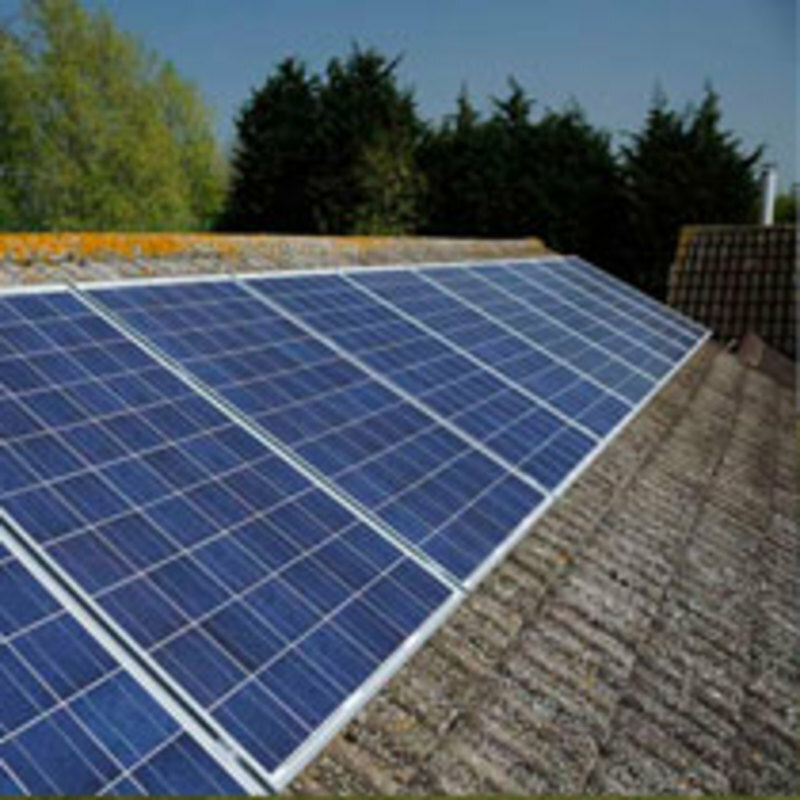 Solar tiles are a type of roof tile which have solar photovoltaic cells integrated into them. 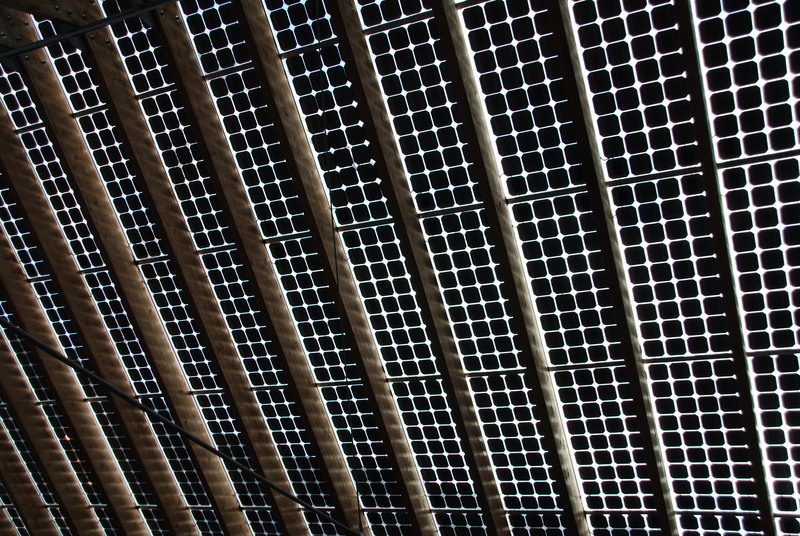 The tiles are connected together in strings in the same way solar panels are in order to make a solar array. 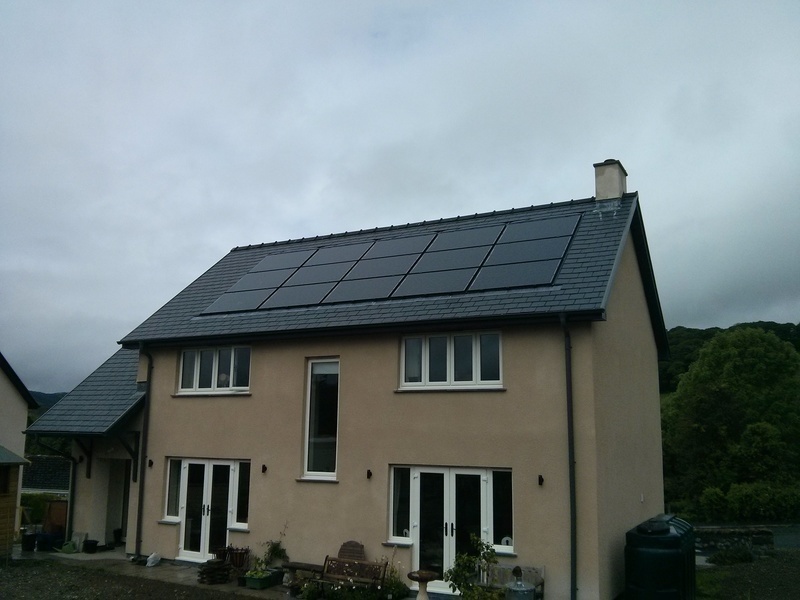 The main advantage of solar tiles over traditional solar panels is the aesthetics. They blend into the building and surrounding environment and can be very discreet. 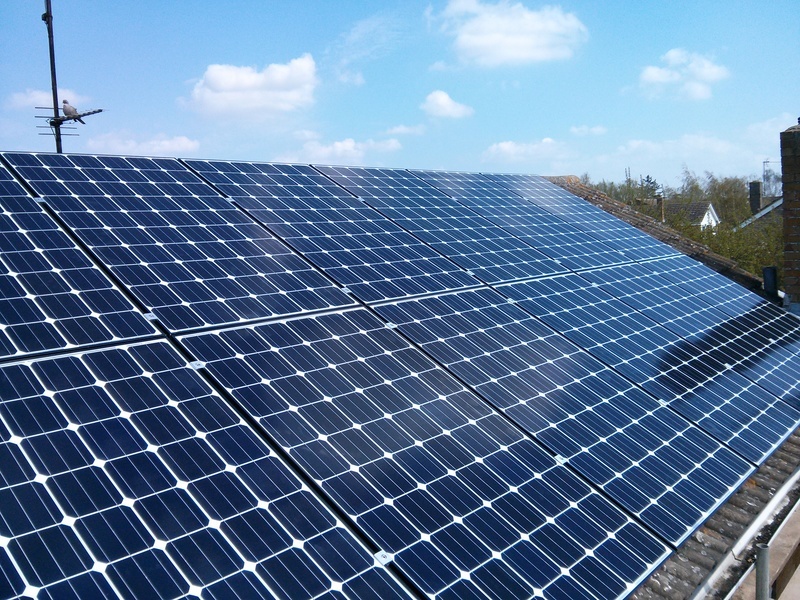 However, historically the relatively high cost of installing solar tiles versus installing conventional solar panels has meant the uptake has so far been relatively limited. 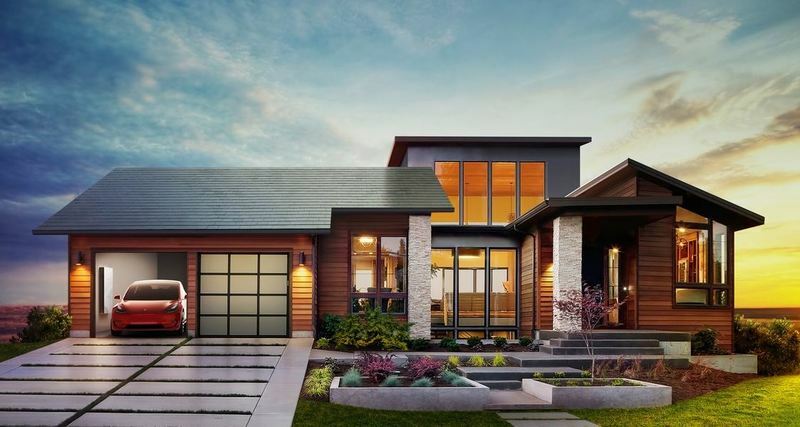 With the announcement by Elon Musk of Tesla of their plan to manufacture and install solar tiles there is hope that in the coming years solar tiles become much more mainstream. As we have seen there are lots of different types of solar technology, each with their own aesthetic. Standard style solar panels can have lots of different appearances based on their cell type, their frame and their backing sheet. 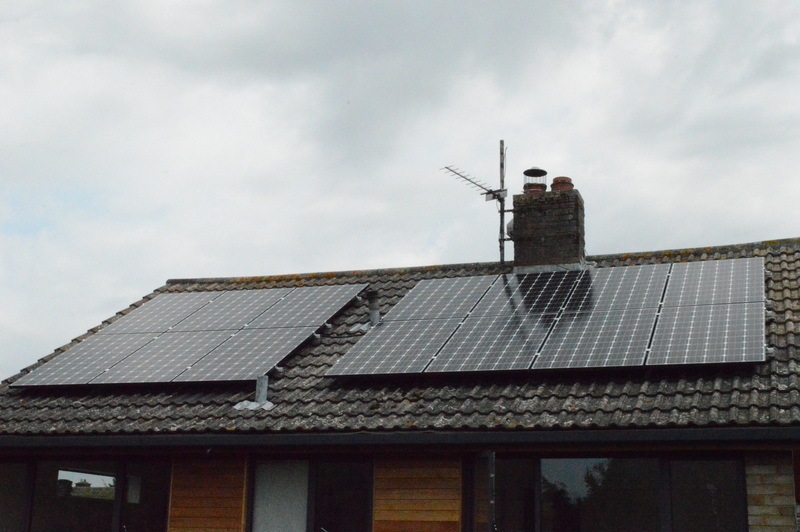 We have a number of different ways of mounting solar panels including on-roof and in-roof however in the future we think it is likely that we will see more and more solar tile systems replacing the normal roof tiles. It is a moving market that is changing all the time. 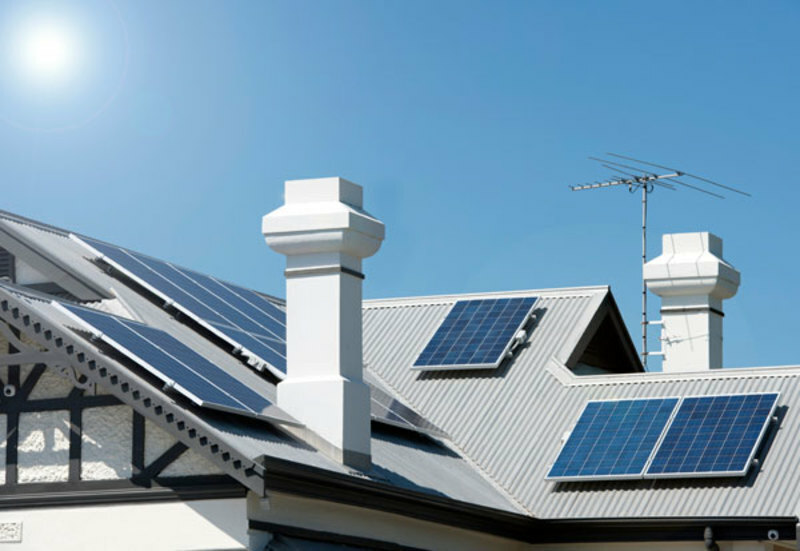 The important thing to bear in mind is that if you are considering installing solar panels on your property you do have a lot of options about how the solar panels will appear. 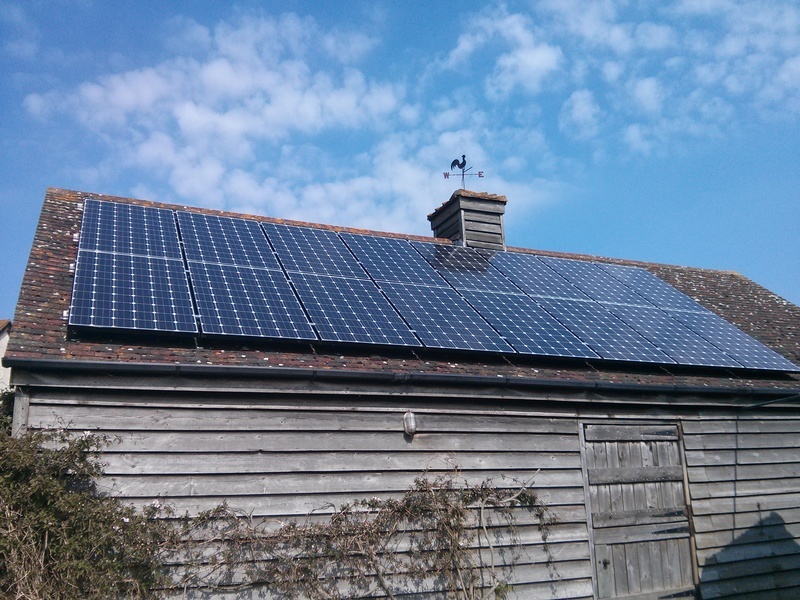 More info on how to design solar panel systems to be sensitive to the surrounding area can be found on the Campaign to Protect Rural England page here.